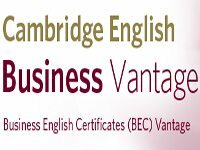 Cambridge English: Business Vantage is an upper-intermediate level qualification in Business English. 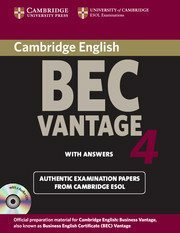 Having Cambridge English Business Vantage shows that you can write short pieces of business correspondence, reports or proposals, read extracts from business publications, listen to, understand and contribute to discussions in meetings. Explanation of the levels of the English courses. 3 students(total 12 hours): € 340,00(incl. 21% VAT) per person. 2 students(total 12 hours): € 510,00(incl. 21% VAT) per person.